I am not a daring person. I never swim out of my depth, I am always several hours early for flights and I won’t let a dog lick my face. On that last point, I don’t hate dogs. It’s just that I once witnessed a dog jump in and out of a pond and then lick his owner's eye. His wide-open eye. I'm 100% sure that can cause blindness. Being risk-averse means that traveling alone isn’t something which appeals to me. But inspired by the wisdom in Kylie Jenner’s video, I’m trying to make 2016 the year of realising and doing stuff. So last week, I threw caution to the wind and flew to San Francisco. I'm 'into' American poetry from the 1950s onward. I wanted to visit the home of the Beat Generation, see Vesuvio Café where the writer Allen Ginsberg drank with Jack Kerouac and visit City Lights Bookstore. 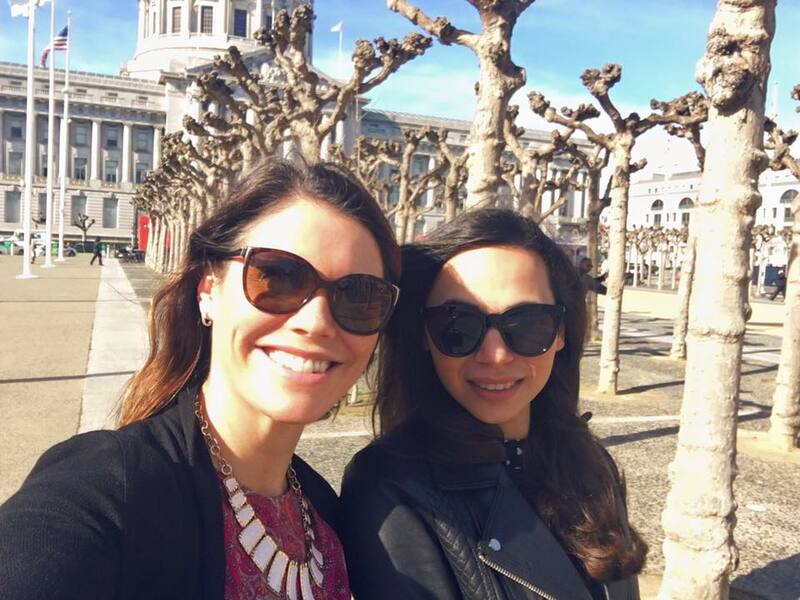 I contacted my friend Laurie who lives in San Francisco to ask if she was around to meet up. Without a second thought, she invited me to stay at her flat and booked a day off work to hang out. That's the kind of excellent-hearted person she is. I told her about the literary sights I wanted to see. She hadn’t come across the Beats before which was great for me because it meant that I got to talk about it at length. It occurred to me that it had been a long time since I had confidently talked about something which actually mattered to me without saying: ‘Sorry, I’ve been talking for ages’ or ‘Sorry, I'm being geeky’ or 'Sorry, this probably isn't interesting'. It also occurred to me that it had been a long time since I’d found someone willing to listen. Unlucky, Laurie! So together we went to City Lights and read some poems, bought some books and had a drink at Vesuvio. To thank her for hosting me and for being a good friend (one who can bear to be a tourist when she is really a local) I decided on a trio of Jo Malone gifts, a jumper, fresh flowers selected by a lovely lady called Courtney from the Floral Loft and a meal at AQ (which I'd heard was awesome - confirmed). I'm glad I found and embraced my pioneer spirit in San Francisco, if only for a few days. Here are some pictures from my visit. They include stops at City Lights, The Japanese Tea Gardens in Golden Gate Park, Alamo Square, Twitter HQ and Pier 39.